The communication app for surgeries. For hospitals, surgery centers and physician offices. save money.|communicate efficiently.|improve patient satisfaction.|operate better. 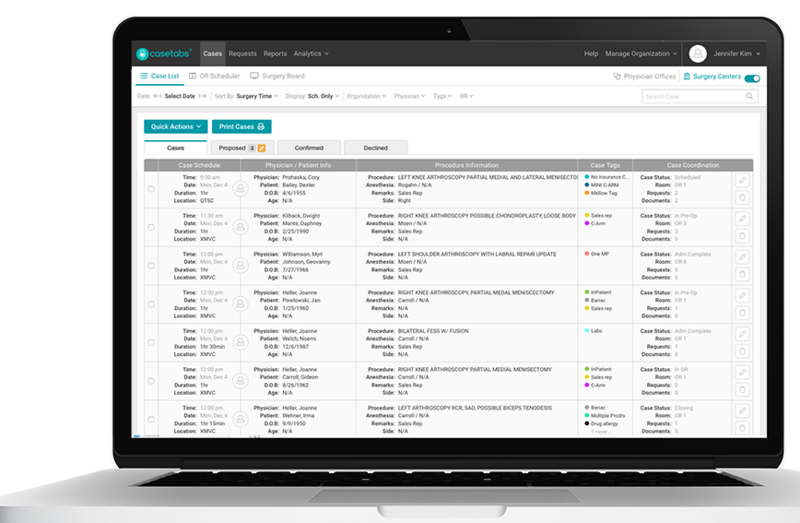 Casetabs gives you real-time access to the important information you need to serve your patients. We make sure you're always in the loop! 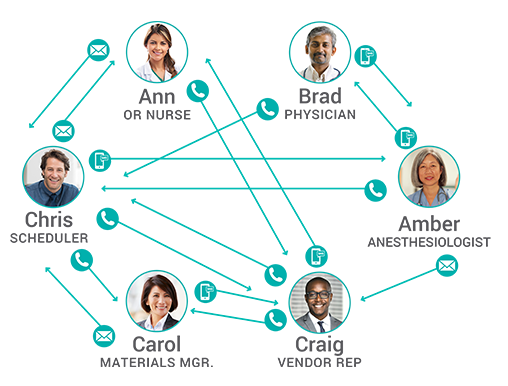 Real-time visibility to add-on, changed, and canceled cases enables staff to respond quicker and significantly lessen the number of communication points via text, email, phone, and word of mouth for any changes to those cases. In other words, no more "telephone game." 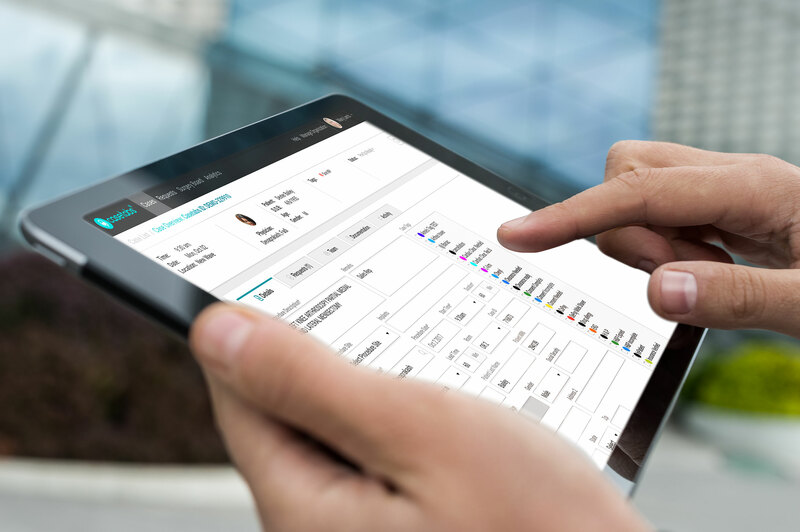 Casetabs creates a central hub for sharing case information and updates between surgeons, anesthesiologists, clinical staff, office staff and vendor reps. 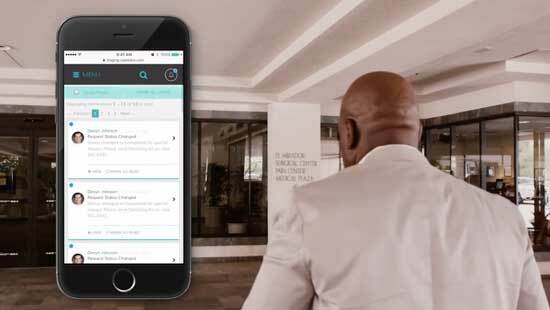 The app reduces the likelihood of missing or inaccurate information, errors or an overall communication breakdown. Access to case updates right when they happen, makes day of tactical communication easier by improving inter-department connectivity so that all departments can perform their roles more efficiently. The Casetabs Digital surgery boards unite departments to increase collaboration, emphasize team work, and shared decision making. One App. A Hundred ways to improve case communication. 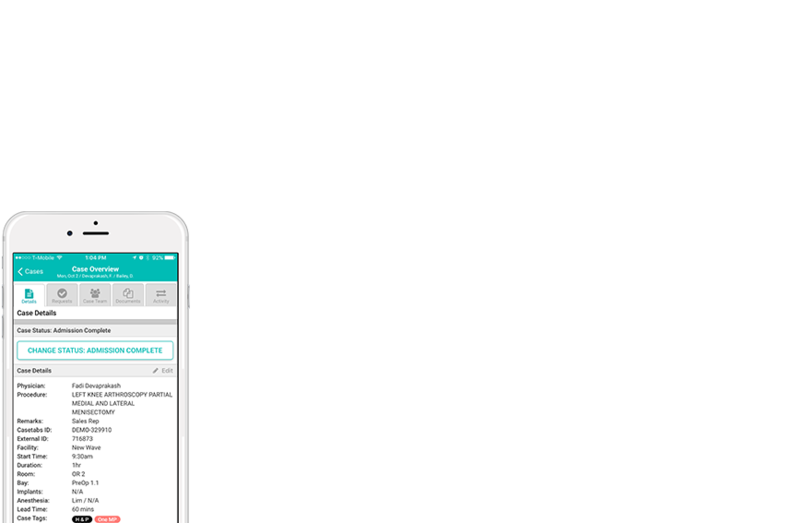 Casetabs is a cloud-based surgery coordination app that shares real-time case updates with facility staff, physicians and vendor reps.
Easy to Set up. Fun to save time and money. See how other medical facilities and physician offices, large and small, use Casetabs to streamline communication and coordinate cases better. Frustrated with fragmented case communication with uninformed staff, wasted time, case delays? Does your center look like this? Enter Casetabs. Communicate around each case in one place. Increase visibility, increase staff confidence and improve the patient experience. The amount of frustration that has been removed from my day is insurmountable, and I can spend more of my energy focused on my patients and their safety. Working without Casetabs is not an option anymore. 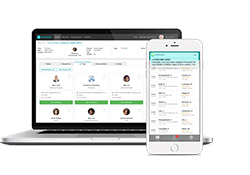 Casetabs gets everyone on the same page including our clinical staff, front office, reps and physician offices. If you have access to Casetabs, there is no reason not to know exactly what's going on at our center. 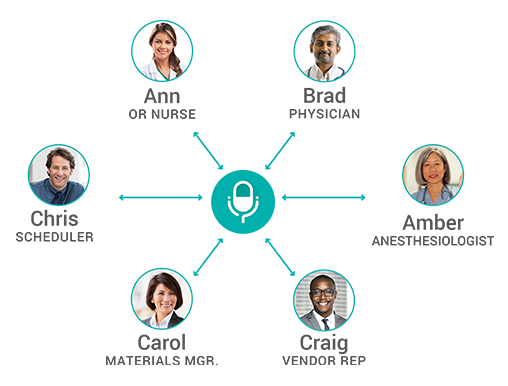 Casetabs makes communication better for our physician offices, anesthesia groups, center staff and sales reps. It is extremely valuable, especially by reducing the number of phone calls, faxes, text messages and emails. Everyone on the case team is automatically updated.